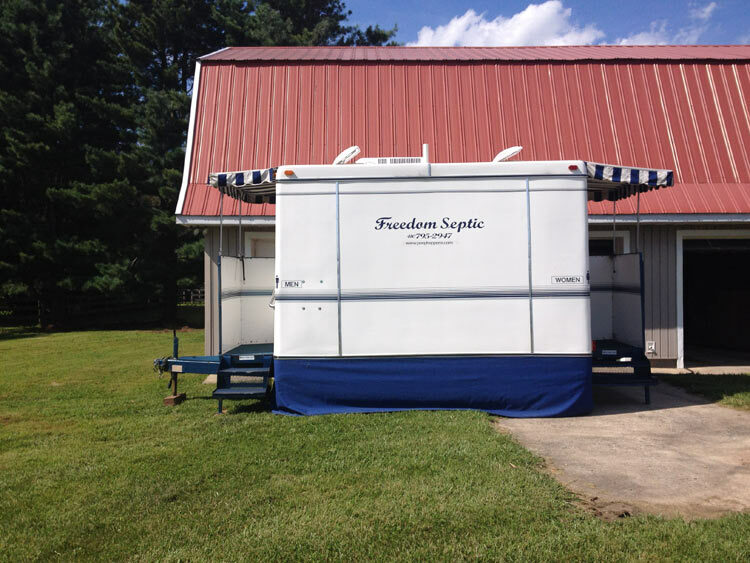 For a clean, healthy environment at your next special event or outdoor project, rely on portable toilets and restroom trailers from Freedom Septic Service, Inc., located in Sykesville, Maryland. 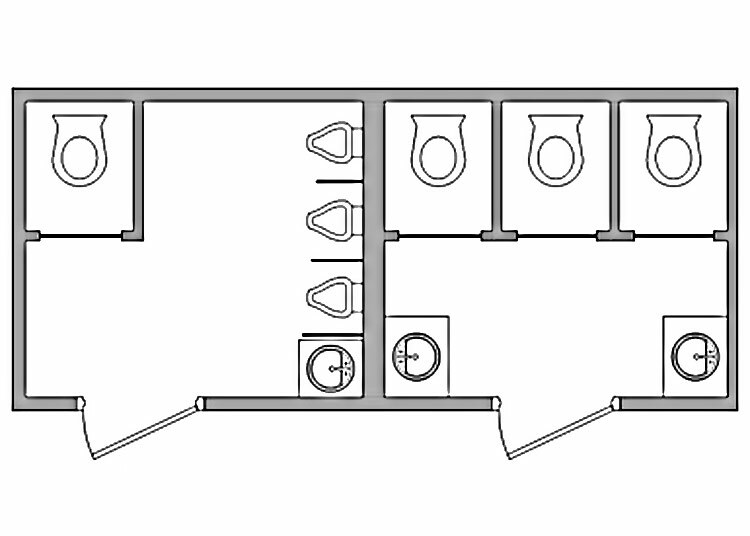 From construction sites to open-air concerts, we rent temporary bathrooms for every occasion. 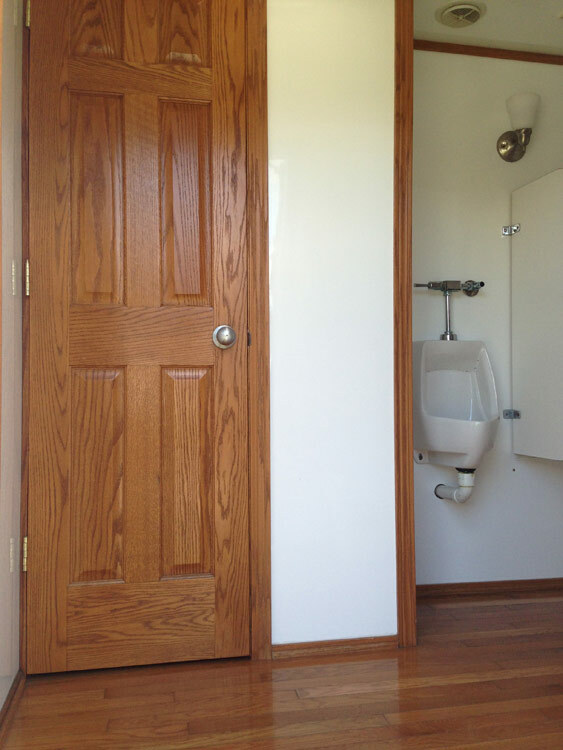 Answering the call of nature can be difficult when away from civilization during a special event. 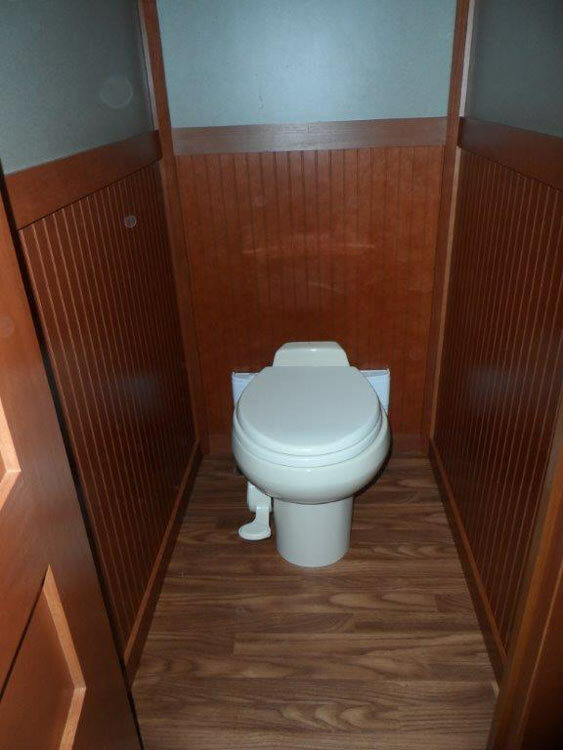 In addition to our professional sewage treatment services, our company provides a range of portable toilets in an array of styles. 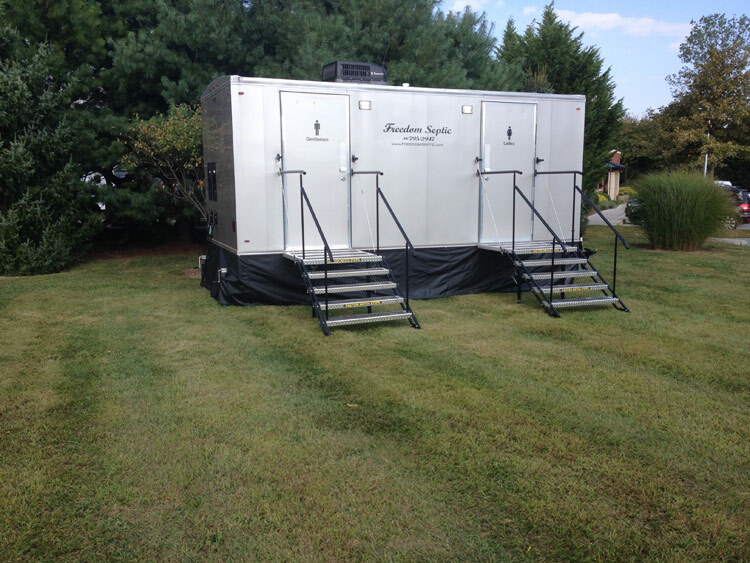 Whether you are planning a rustic wedding or building new homes, we have portable comfort stations for all your needs. 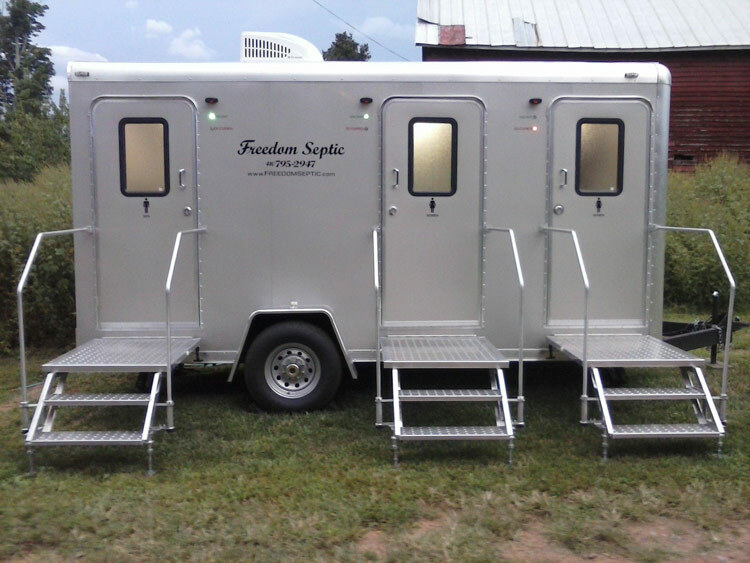 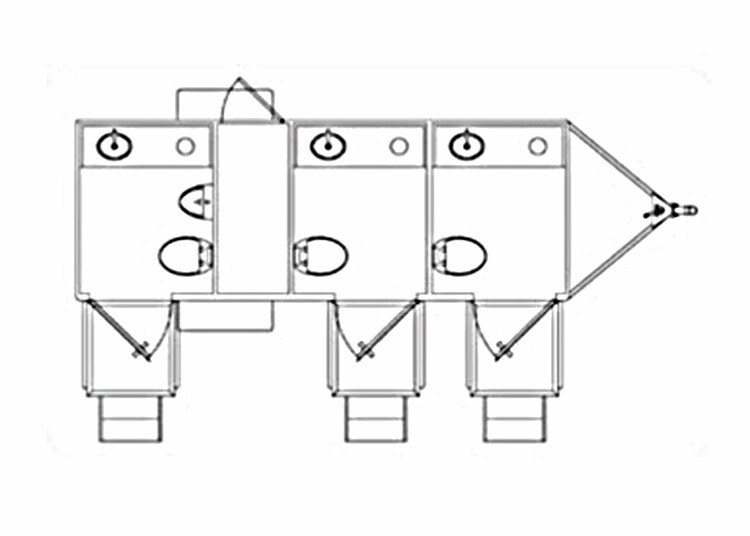 Choose from one of our four elite restroom trailers! 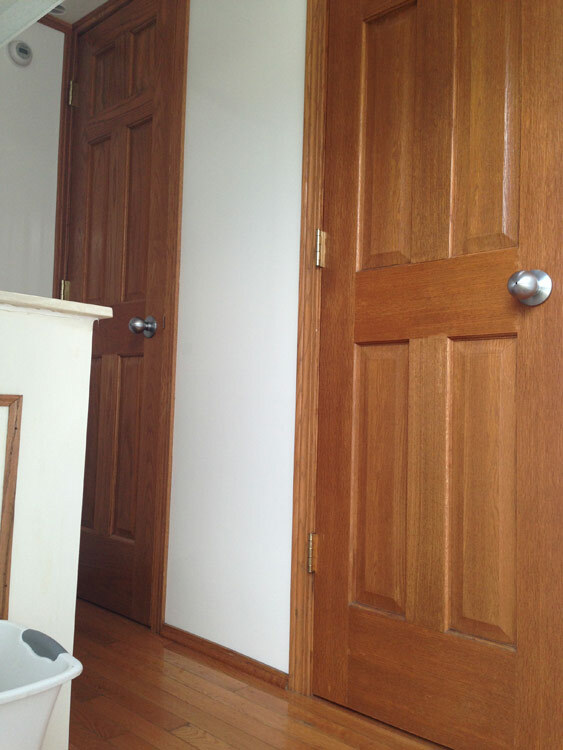 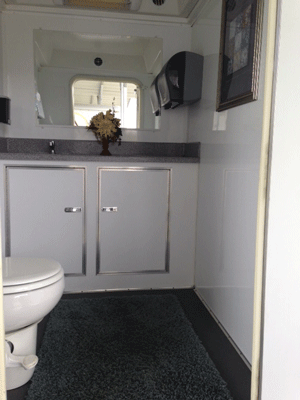 Enjoy all the comforts of home with our elite restroom trailers. 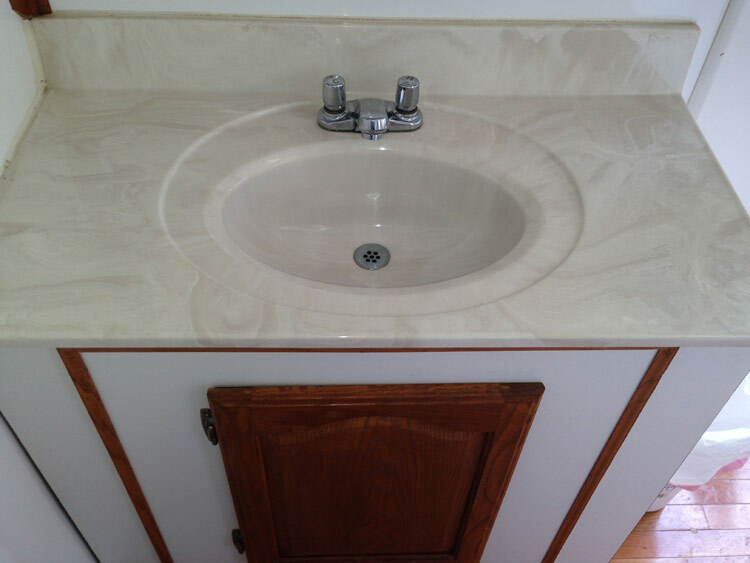 Featuring such elegant amenities as hardwood floors, heating and air conditioning, AM/FM stereo, and attractive exterior lighting, our restroom trailers let you serve guests in style at even the most formal occasions. 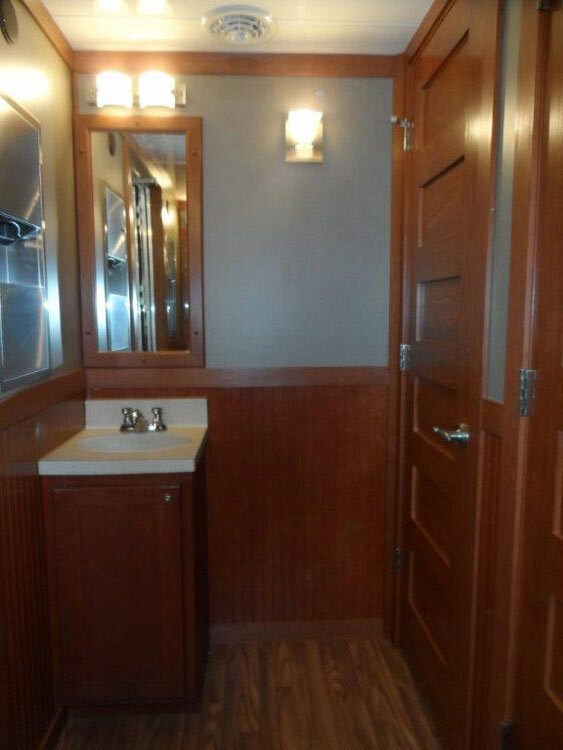 * None of our trailers are handicap accessible. 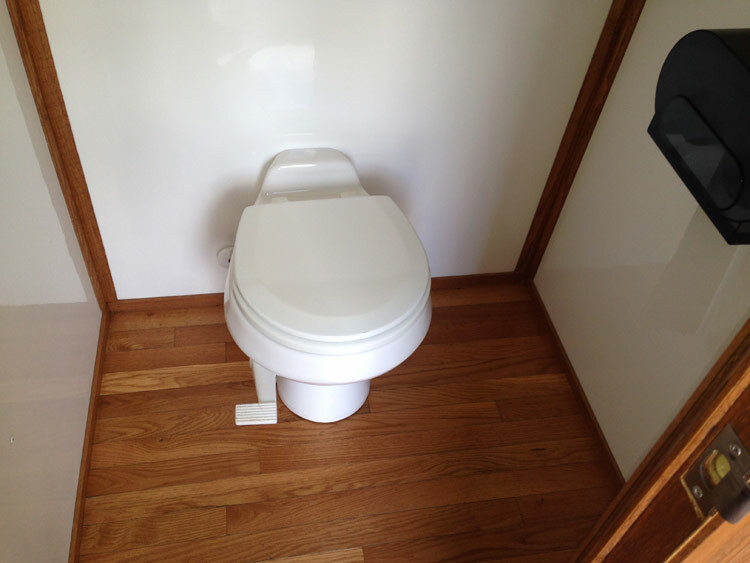 We offer handicap portable toilets. 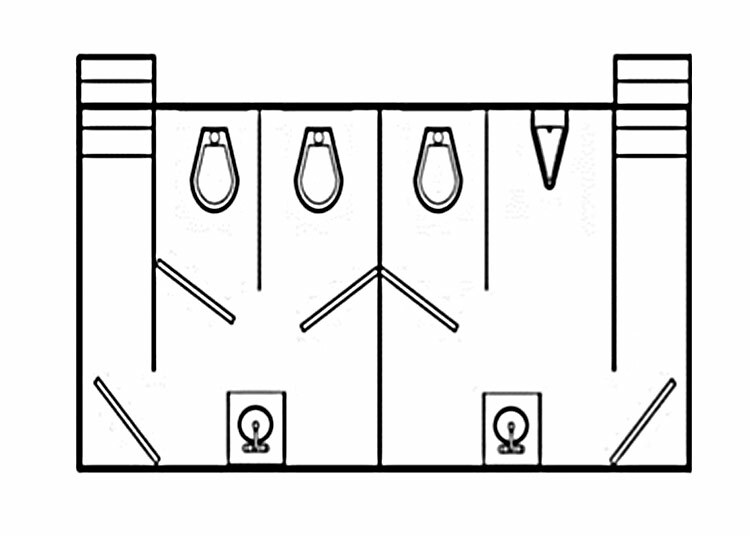 * Water and electric must be available on site and the trailer must be on level ground. 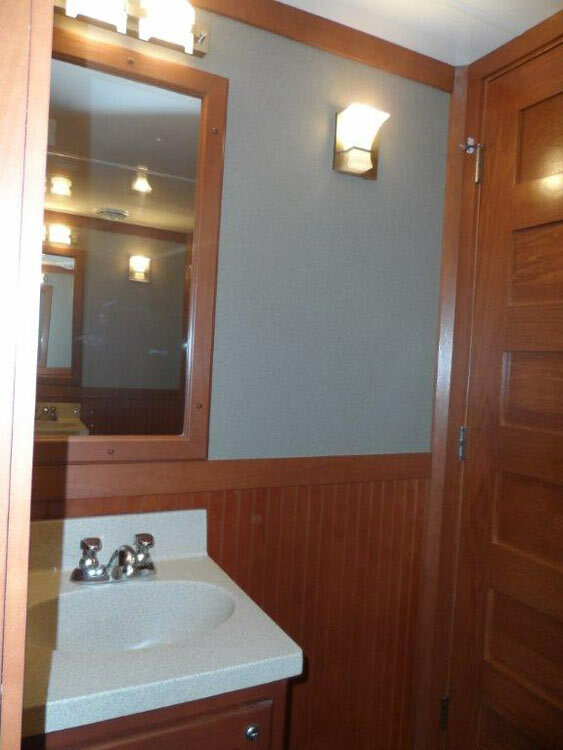 * A travel fee for bathroom attendant may be charged. 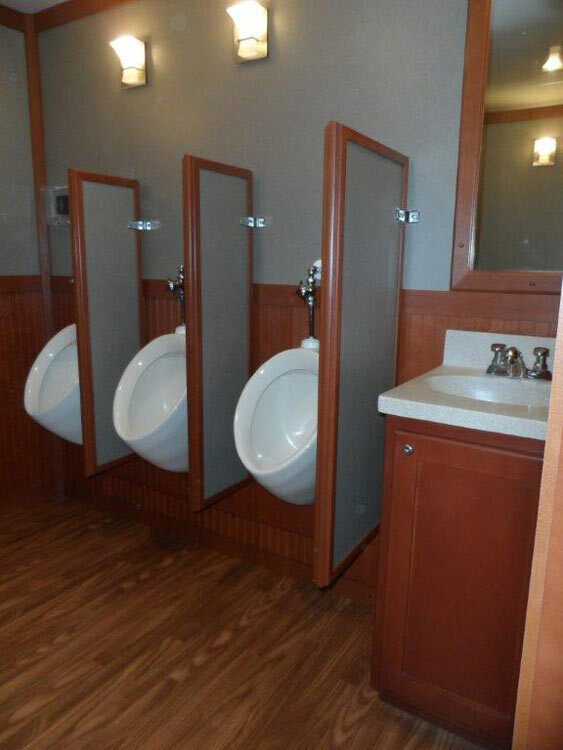 * Delivery fees may apply. 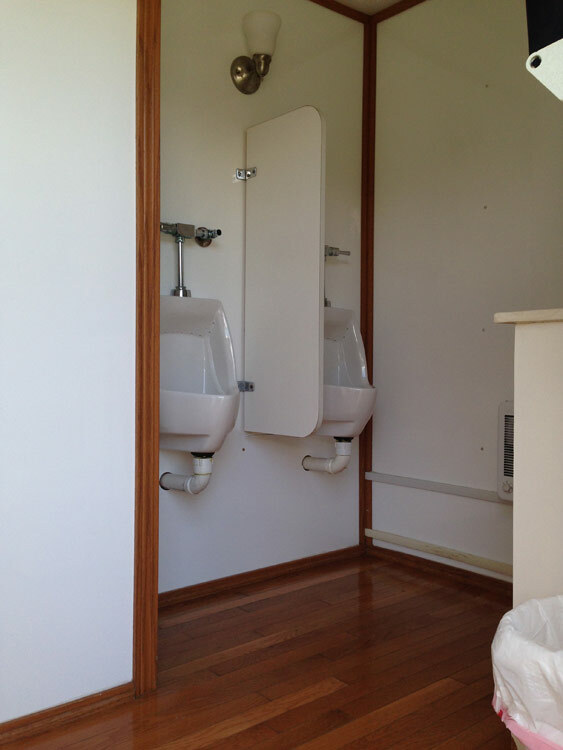 Learn more about our quality portable toilets by requesting an estimate today.